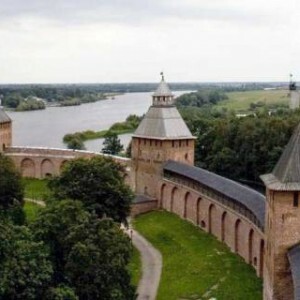 A full day tour to ancient Novgorod the Great that was one of the most important cities of Kiev Rus’. Novgorod is a beautiful town of solid old churches and quiet tree-lined streets. 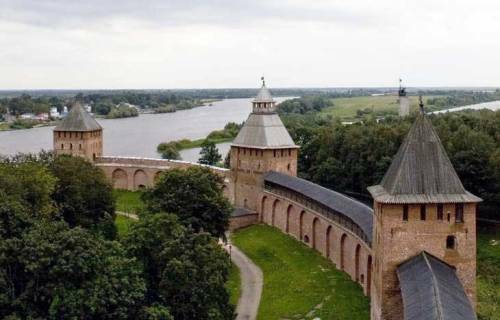 The town’s main attraction is magnificent Kremlin that tells the history of the place not only with its solid walls but through its numerous historic treasures found in the course of archaeological excavations. Novgorod is located at the place where the Volkhov River starts from Ilmen lake. The surrounding countryside offers lovely picturesque views that are sure to have inspired all the numerous legends associated with the place.